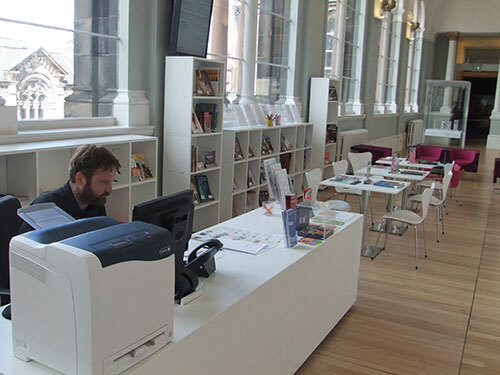 When the National Museum of Scotland re-opened in July 2011, the Information Services Department started a new service: the Info Zone. Situated next to the Balcony Café on Level 3 of the Grand Gallery, the Info Zone provides visitors with a place to find out more about our amazing objects and the many activities in the Museum. Upon first opening it was difficult to know how the Info Zone would be used. Who would be attracted to use it? What kind of questions would they ask? What kind of research tools would be useful? Almost a year on and we are beginning to get answers to these questions. We have now welcomed over 35,000 visitors to the Info Zone and answered over 7,500 enquiries. Popular questions include ‘Has the building always been a museum?’ and ‘What paint colour has been used on the walls?’ The answers are ‘Yes’ and ‘Farrow and Ball, Light Blue’ in case you have pondered the same thing! Can you find my Afghan coat; it was donated by my mother? Could you tell me more about a horse-drawn fire engine from my family estate in Dumfriesshire? I think it may have been donated to the Museum. Where can I find out more about the polar bear skull found at Inchnadamph? I’m looking for a mummified cat that was found inside a wall on the Royal Mile. I’d love to find a tapeworm I saw here as a child; it had a lovely wee face! 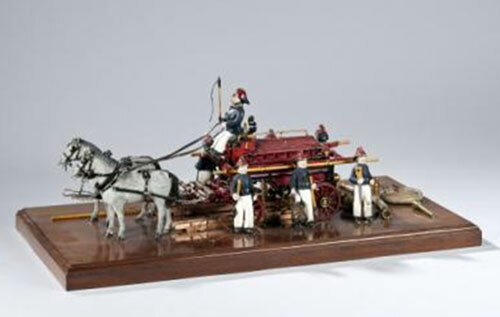 My forefather worked for the Fire Brigade in Edinburgh and donated a model fire engine to the Museum do you think it’s still here? Model fire engine donated to the Museum. For questions like this we are very grateful to the Museum’s curators, who are always willing to help locate a mystery object or provide information on their specialist subjects. Other questions we admit we cannot answer, but they certainly bring a smile to our face. We have been asked for directions to our collection of flying carpets and griffins’ nests among others. Our collection of books has proven to be popular with a large number of adults and children, and the themed trails around the galleries that can be collected from the Info Zone are a big hit. The online portal provides visitors with information about Museum objects as well as entertainment through games, helping younger visitors (or young at heart!) 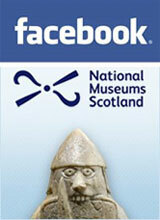 to discover more about the background of the Museum collections. We are now looking to the future and planning what improvements and adjustments can be made to make the Info Zone the best possible resource for all of our visitors. 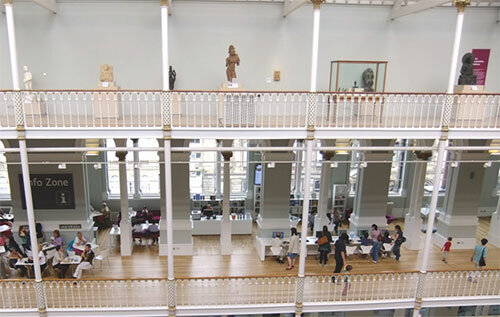 The next time you are visiting the National Museum of Scotland, why not drop by and discover even more about the Museum and what it holds? We’d love to see you! We are making good progress with planning and getting ready for the opening of our brand new InfoZone and Research Library. We thought it timely to give you all an update on how things are going. The new Research Library will open to the public in summer 2011 and is located on the first floor, adjacent to the Communicate! gallery. It’s a much more visible and accessible location than we had for our Library previously. We will have a selection of about 23,000 items drawn from our much larger collection, which will be focused on our research and collection strengths. 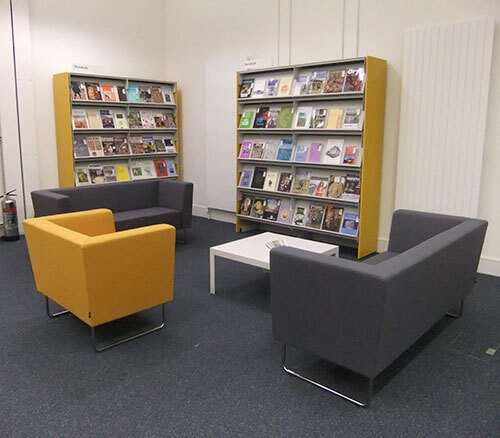 The new Library will also provide much improved visitor seating and study space including a more informal comfy seating area which we anticipate being used for more leisurely browsing such as keeping up-to-date with the latest issues from our periodical collections or looking over our recently received new books. 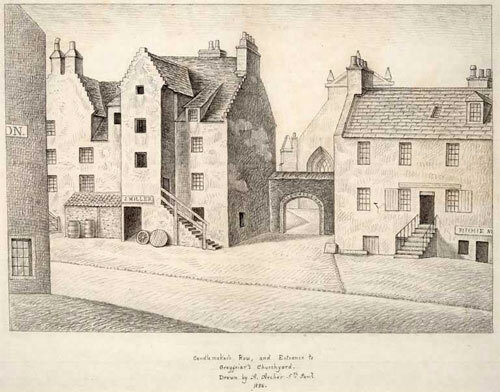 Drawing of Candlemaker’s Row and entrance to Greyfriars Churchyard by Alexander Archer, 1836, from the Research Library Special Collections. The building on the right survives, as a public house, as does Greyfriars Church, but everything else here has gone. The National Museum of Scotland now stands in place of the building on the left of the drawing. We are also delighted to say that we will have some new contemporary shelving. This will benefit not only us but importantly our users who will no longer have to ask a staff member to retrieve an item from the top shelf (previously nine shelves high). Our new shelving is lower, enabling our users to browse freely for themselves. 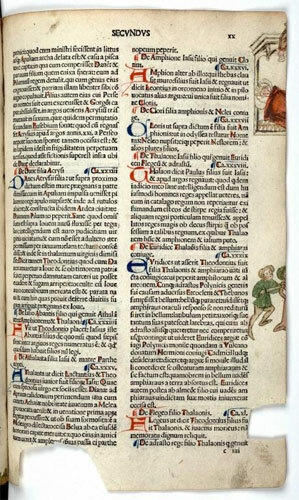 Illuminated page from Boccaccio’s Genealogia deorum gentilium (On the genealogy of the gods of the gentiles), from the Research Library Special Collections. The copy of the Genealogia in the library of the National Museums of Scotland is unusual in having contemporary illuminations in the margins. This page shows an interesting image of a King sleeping. When we reopen we will also be introducing a brand new information service called the Info Zone. The InfoZone is a place where visitors can access a range of information about our Museums, our galleries, our collections, our exhibitions and what’s going on. We will have a number of PCs which visitors will be able to use to check out our digital and web-based information, as well as printed resources. The Information Services team will be on hand to advise and support visitors to find and use the information resources on offer. The Zone will have information about our whole complex and not just the new galleries from this phase of the development. What we offer will of course evolve and develop over time informed by our visitors’ experiences and information requests. We will also be working with Learning & Programmes, Exhibitions and other departments to take forward public programming opportunities and external promotional events to specialist research and interest groups about our amazing collections and encouraging them to visit us to discover these for themselves. 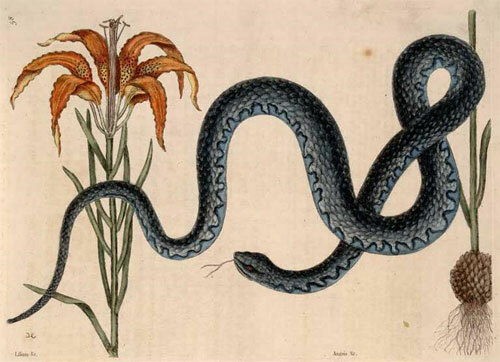 Plate from Mark Catesby’s ‘Natural History of Carolina, Florida and the Bahama Islands’, 1731-1747 Postcard of Wampum snake and a red lilly. 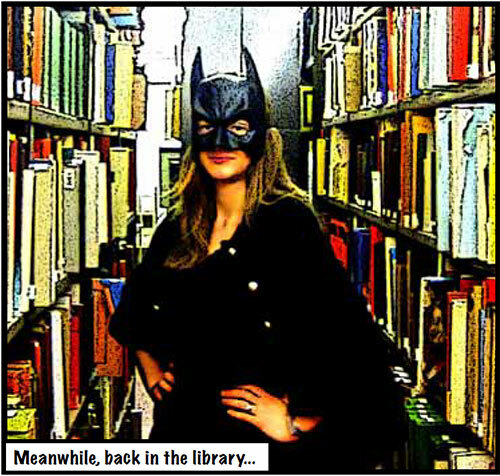 From the Research Library Special Collections.